The North Canton Master Plan serves as a “road map” for the city. Funded by the Hoover Foundation and the City of North Canton and created by Kent State’s Urban Design Collaborative, the Plan was created with input from citizens, community leaders and stakeholders. Three well-attended public meetings were held to gain consensus on challenges and opportunities, culminating with the unveiling of the Plan in February 2012 at Walsh University. Since that time the steering committee has met periodically to review progress on the Plan’s recommendations and another round of citizen input will be requested in late 2014-early 2015. 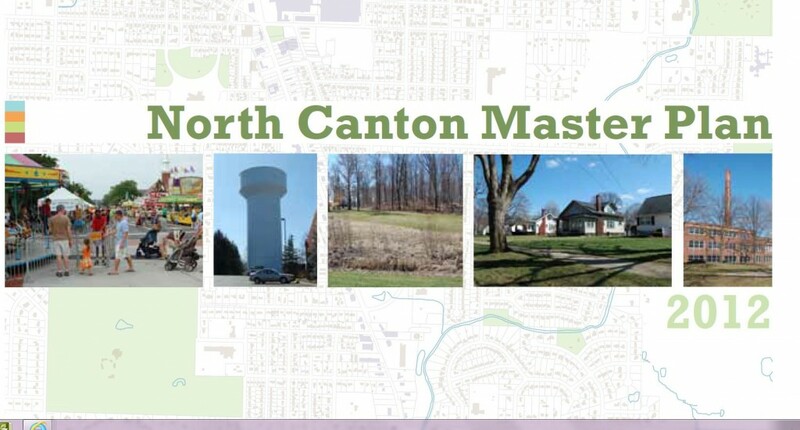 To view the Plan visit North Canton Master Plan Website.